Logi-Serve worked with a privately-held pet supply retailing company to address two key challenges—reducing turnover and increasing the quality of customer service. When Logi-Serve was used as part of the applicant screening process, the client experienced a 21 percent decrease in turnover, saving an estimated $175,000. 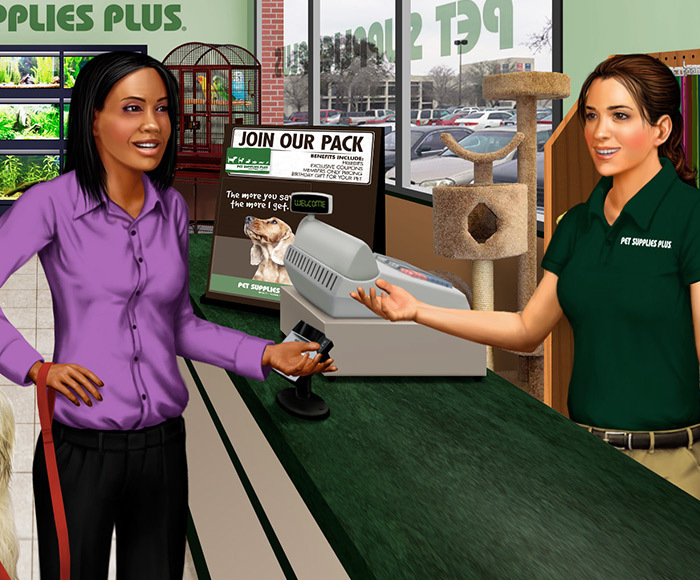 The client is a privately-held pet supply retailing corporation with a major presence in the US, having more than 400 neighborhood locations in 31 states. Logi-Serve implemented our Service and Sales Assessment and created a customized benchmark using the competency profiles of the client’s top-performing incumbent employees in both roles. When Logi-Serve was used as part of the applicant screening process, the client experienced a 21 percent decrease in turnover (voluntary, involuntary and other). Based on conservative assumptions, Logi-Serve enabled the client to reduce its costs due to turnover by around $175,000. Results of a store-level analysis indicated substantial improvements across all secret shopper dimensions. Secret shopper scores from the period following Logi-Serve implementation were significantly higher than those from the period preceding Logi-Serve implementation.